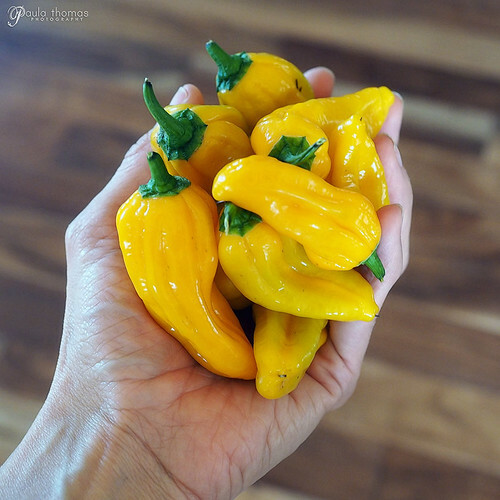 I had an abundance of peppers in the garden this year, including some super hots. I've made salsa the past few years and dehydrated some last year. This year, but the peppers kept going after the tomatoes were done. @deanacat3, a friend on facebook, is always posting about her fermenting adventures in the kitchen and has posted several times about making fermented hot sauce. I've fermented a lot of things but never tried peppers. I made two batches of sauce, one with a variety of every color of pepper in the garden and the second with only yellow and green varieties. 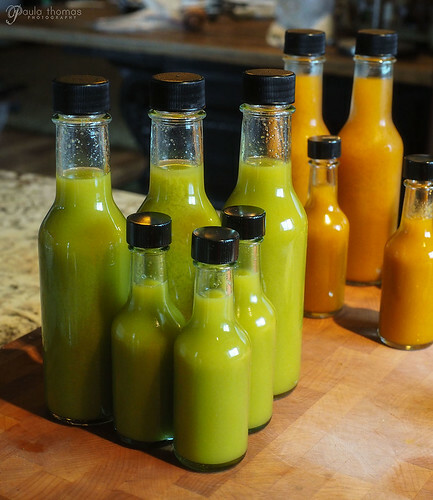 I received some yellow ghost peppers from a neighbor and decided to put them into a sauce along with the last of my yellow and green variety peppers from the garden which resulted in the Green Ghost Hot Sauce. Roughly chop the peppers, removing seeds and veins for a less hot sauce if preferred. 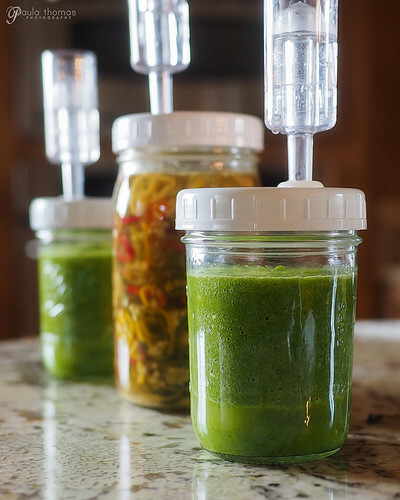 Blend all ingredients (except the 1 cup brine) in blender and then pour into glass jars leaving about 1.5-2" space at the top. Top with a fermentation lid and let sit for 2 days to allow solids to separate. Slowly add some brine to 1" above pepper mixture. Let ferment or 2-4 weeks. 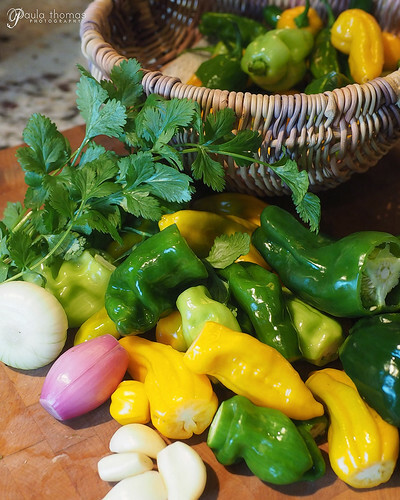 If peppers float to the top, press them down every few days to avoid mold from forming or use something to hold them down like a fermentation weight. Press the chili sauce through a sieve and store the sauce in hot sauce bottles or any glass container for several months in the refrigerator.